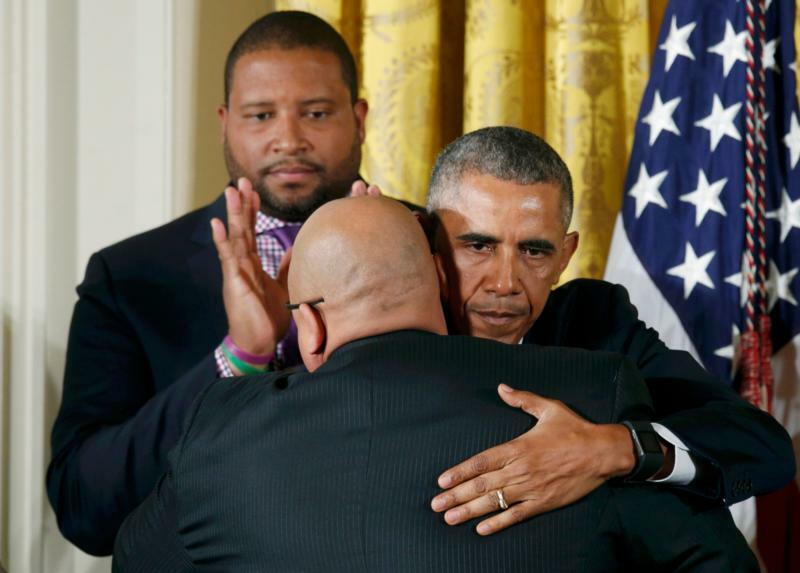 WASHINGTON (CNS) — When President Barack Obama unveiled a series of executive orders Jan. 5 intended to make a dent in gun violence in the United States, people reacted. And how. “Thank God that someone finally has the courage to close the loopholes in our pitiful gun control laws to reduce the number of mass shootings, suicides and killings that have become a plague in our country,” said Bishop Kevin J. Farrell of Dallas in a Jan. 5 entry titled “The Cowboy Mentality” on his blog. “Violence in our society is a complex issue with many facets, taking many forms. While no measure can eliminate all acts of violence which involve firearms, we welcome reasonable efforts aimed at saving lives and making communities safer, said a Jan. 6 statement by said Archbishop Thomas G. Wenski of Miami, chairman of the U.S. bishops’ Committee on Domestic Justice and Human Development. “We hope Congress will take up this issue in a more robust way, considering all of the varied aspects involved. In addition to reasonable regulation, conversations must include strengthening social services for persons with mental illness, while being mindful that the vast majority of those suffering with mental illness are not likely to commit violent criminal acts,” Archbishop Wenski added. Citing data from the National Center for Health Statistics, the statement said, “Between 1979 and 1991, nearly 50,000 American children and teenagers were killed by guns, matching the number of Americans who died in battle in Vietnam. It is now estimated 13 American children die every day from guns. Gunshots cause one out of four deaths among American teenagers.” The bishops added that guns in the United States had quadrupled from 50 million to 201 million between 1950 and 1990. The 2013 estimate: 300 million. * Anyone who sells guns is considered a gun dealer and must get a license and conduct background checks of prospective buyers. The FBI and the Bureau of Alcohol, Tobacco and Firearms will in turn work to speed up the background check process. 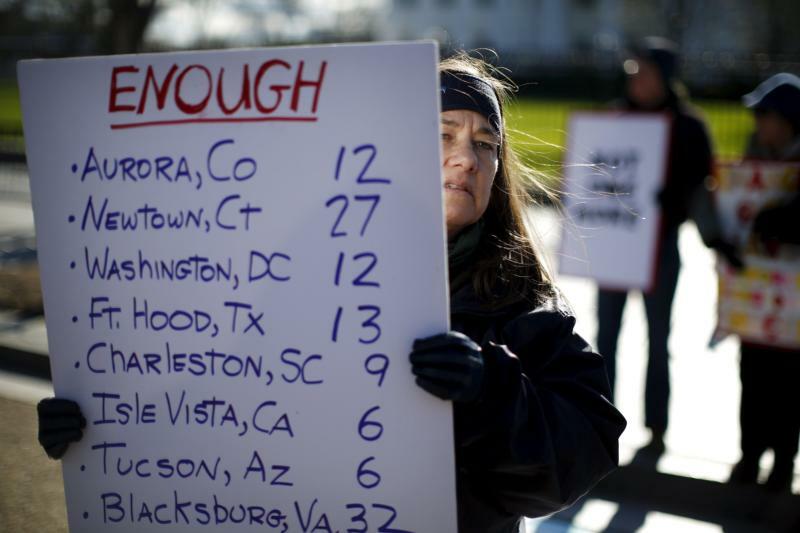 * The addition of 200 ATF agents and investigators to enforce gun laws already on the books. * The expenditure of $500 million to bolster mental health care nationwide, as many who take part in mass shootings have been shown to be mentally ill. Moreover, two-thirds of U.S. gun deaths are suicides. Not everyone was receptive to Obama’s executive orders. But more Catholic-affiliated voices supported Obama. Bishop Farrel .. I don’t suppose it mattering to you … that not a single ‘Cowboy mentality’ person has committed one of these mass shootings .. but plenty of Jihad Sharia types have and plenty of mentally ill .. Not patriots … nor Christians … nor Cowboys. Every totalitarian take-over of a country came by way of removing guns from the culture … and then the citizens becoming easy prey of the powers of take-over that be. You have lost my respect as a man … though you are a bishop … and that I still respect only because of WHO you representing in your ordination … and the Grace HE having given into your hands as HIS instrument. We having a president who cries for some babies .. because it advances his agenda … and not crying or so many others … Christians beheaded … women raped … children butchered and torn limb from limb while they being alive and living and growing in their mother’s womb. We having a president who hugs some .. because it advances his agenda … and not hugging so many others … soldiers who having lost their limbs … mothers who having lost their unborn children to a culture which convincing them that the better way being to allow their unborn to be killed in their mother’s womb. And you falling for all of it, Bishop Farrell. Maybe I’m misreading you from the quote in this article … maybe taking you out of context … and if so … I apologize. If not, I don’t. NONE of the gun laws having kept criminals from using guns. Gun laws of the sort O is proposing do one thing. They disarm the non-criminal citizens and prepare them for take-over by a government bent on such. It has happened many times over in the last 100 years … that citizens being disarmed … by legislative means … and then boom and kaboom … many die from the government take-over .. which now being most easily done. Playing into that … even for seemingly noble reasons … is just plain stupid. GOD Bless you Bishop Farrell and us all and bind O and this government … so that they cannot do what has been done so many times in our last 100 years … disarm and kill … us who don’t agree with them. AUTOMATIC WEAPONS SHOULD NOT BE SOLD TO THE GENERAL PUBLIC. THE ROOT CAUSE OF THE ESTIMATED 13 CHILDREN KILLED BY GUNS DAILY IS NOT THE GUN, BUT THE USE OF THE GUN BY A PERSON. IT IS DOUBTFUL THAT EXECUTIVE ORDERS WILL HAVE MUCH EFFECT ON THAT. WE DO BADLY NEED A CHANGE IN CULTURE. AN EXECUTIVE ORDER TO STOP THE APPROXIMATE 3000 DAILY ABORTIONS MIGHT START US ON THE RIGHT PATH. Perhaps our president could find some time to shed tears for the millions of aborted pre-born babies that he allows through his total support of abortion. Increased gun violence is just one of the results of the lessening influence of the Judeo-Christian ethic totally supported by out Muslim loving president who, in both elections, was supported by Catholic voters. I feel sure that if it was possible for Obama to run for president again the same weak minded Catholic voters would support him.